If you love the idea of living in the hub of everything you can't go wrong this beautiful 1 bedroom apartment 1 bathroom, with a cosy living area and private outside terrace with distant sea views. The bedroom is big and boasts a huge amount of wardrobe space with a separate bathroom. 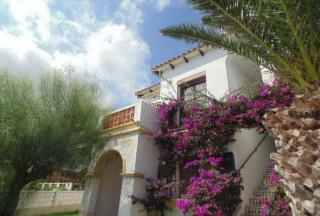 Beautiful communal pools and gardens, and walking to bars and restaurants, and the Villamartin Plaza. Great Bargain East Facing 1st Floor 1 Bedroom 1 Bath Apartment located in the popular location of Mirador close to Blue Lagoon and Villamartin. Private sunny terrace,open plan fully fitted kitchen. In need of minor upgrade hence the fantastic low price. Use of 4 x communal swimming pools and green areas. 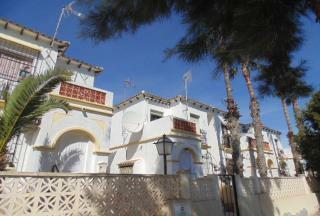 A short walk to Villamartin Plaza and great as a holiday home or rental option. Reduced by 3,000 euros! Perfect for rental or holiday home this 1 bedroom 1 bathroom top floor corner south east facing apartment, located in the popular area of Mirador del Mediterraneo in Villamartin, just a short distance from all amenities and golf. 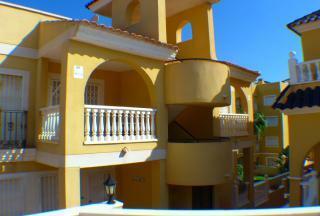 This first floor 1 bedroom apartment is situated on a great complex in EL Mirador close to Eagles Nest. 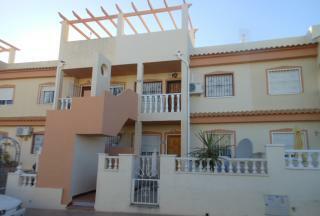 The property is the perfect lock and go holiday home, and is well presented. 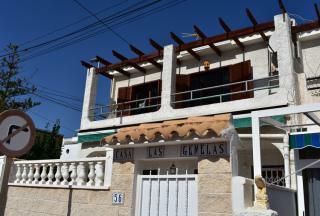 The apartment has use of beautiful communal pools and is a 2minute walk to local bars and restaurants. Fantastic townhouse with sunny garden located in a quiet street of Blue Lagoon.Comprises glazed in terrace,rear garden storage room,lounge with separate kitchen,1 double bedroom and family bathroom, upstairs is 1 double bedroom with shower room and good size terrace with sea and salt lake views.The property is sold furnished. (Reduced by 4,000euros) This 1 bedroom, 1 bathroom west facing ground floor apartment on the quiet urbanisation of Lomas del Golf. Comprises of a private front garden, glazed-in breakfast room, lounge with bar area, kitchen, bathroom and bedroom. A/C installed. The apartment has been refurbished to a very high standard and sold partly furnished. Overlooks the communal pool from the rear. Close to all amenities, Plaza and club house. 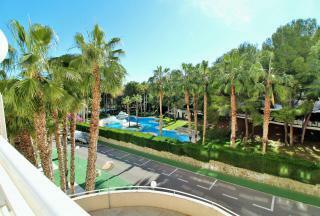 Beachside N332 ground floor apartment with beautiful communal pool, gardens and tennis courts. 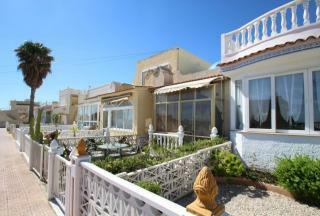 Walking distance to the golden beach of Playa de la Glea. Comes fully furnished and equipped. Ideal holiday home or rental apartment. Redcued by 5000 euro to only 74.950 euro. 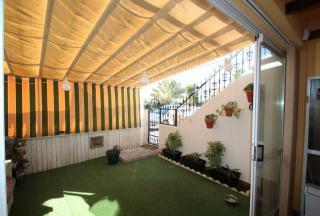 South facing 2 bedrooms, 1 bathroom apartment (only 1 property below) located in the popular La Rosaleda area. A convenient location on the local bus route and a short walk to the coast and beach, and walking distance to the marinas and town centre of Torrevieja. 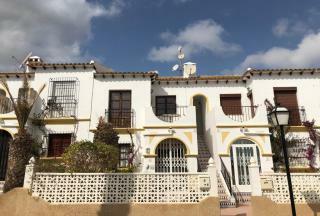 Excellent value this 2 bedrooms top floor apartment is in a perfect location, within walking distance to the La Fuente Centre with its many bars and restaurants, close to supermarkets and golf. With use of a communal pool this property is not to be missed.